A mother has been jailed for five years after her toddler son drowned in a pond while she chatted on Facebook. Claire Barnett pleaded guilty to four charges of neglect at Hull Crown Court. 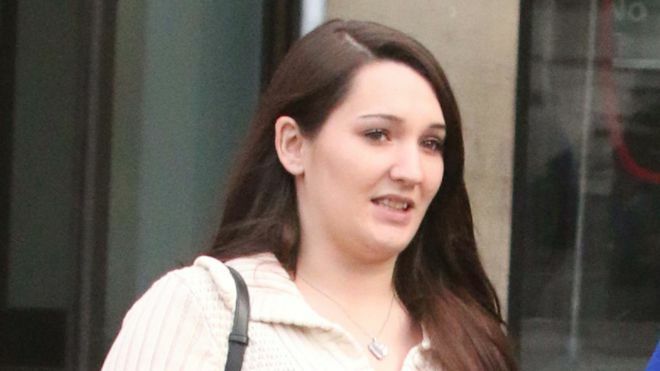 The court heard the 31-year-old was on Facebook instead of supervising Joshua, two, while he was in the back garden. Prosecutors said Barnett was told to cover the pond by relatives and had been warned by Social Services after two of her children were nearly run over while playing unsupervised. The incident happened at the family’s home on Ferry Lane, Woodmansey, East Yorkshire on 17 March last year. The court heard Barnett gave police conflicting accounts of what she had been doing but investigators found she had uploaded two photos to Facebook and taken a call from her boyfriend instead of watching her son. Joshua was pulled unconscious from the pond and given first aid by his mother while waiting for an ambulance, but he died later in hospital. Prosecuting lawyer Peter Moulson, QC, said it was not known how long the toddler was in the ornamental pond before his mother went to him. “It may have been as short as 20 seconds,” he said. “There was evidence the defendant had been on a mobile telephone in the lounge on Facebook when Joshua was at the pond. He told the court: “The defendant had been warned by other members of her family about the pond. “Claire Barnett said she would have to fence it off or that there was a mesh over it. Non of that was put in place. Mr Moulson said that in 2013 social services were contacted by the NSPCC after two of Barnett’s children were almost hit by a car while playing near a busy road. The court heard they no shoes, inadequate clothing and were unsupervised. Defence barrister Timothy Roberts, QC, said Barnett had been getting ready to take the family’s dog for a walk when Joshua drowned. “She became distracted by a Facebook comment that was posted to her rather than the other way around,” he said. Passing sentence, Judge Jeremy Richardson QC said Barnett’s “lamentably appalling parenting led to fatal consequences”. He added: “If you should have any further children, they will almost certainly be removed from you. ← To-Be-Mom Is Horrified Of The Warnings Everyone Gave Her. But No One Prepared her For This.